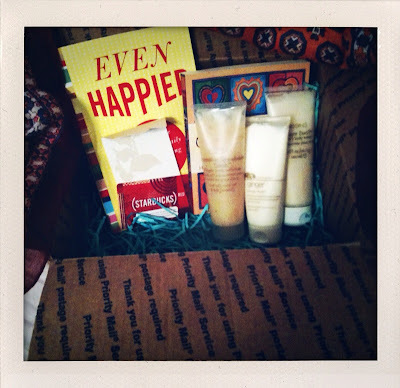 I got my Brown Paper Packages gift in the mail today from my exchange partner, Jodi Cosper. I received a beautiful scarf, two inspiring books, a $10 Starbucks gift card, some yummy shower goodies from Origins, and some Jiffy Pop popcorn. Thank you, Jodi!!! You spoiled me, girl! Thanks also to Cole for thinking of this exchange idea in the first place. 1. My favorite book growing up was The Little Princess by Frances Hodgson Burnett. 2. The funniest book I've ever read was this book of punchlines I had when I was a little girl. 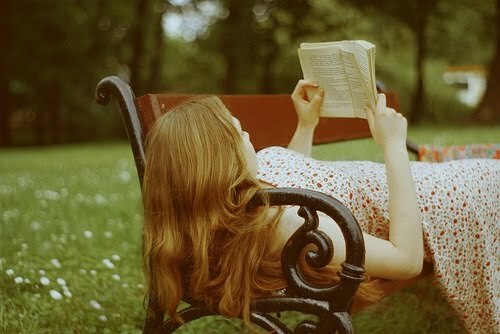 I lost the book, which is just as well, because if I read it today, I would probably think it was incredibly silly. But I still remember it fondly . 3. The one book that has truly changed my life is The English Patient. This was the book that solidified in me the desire to want to be a writer. I first read it at the age of 18 and I've reread it every couple of years since then. (I'm also doing my master's thesis on it!) . 4. If you're looking for a real "tear jerker" you should probably read Atonement by Ian McEwan. No book has EVER made me cry like that book did . 5. If I could meet any author living or dead I would want to meet Shakespeare. I have so many questions for him! I want to know if he really was as prolific as he seems to have been, or if he had other(s) helping him, and I want to pick his brain to learn what inspired him to write so many beautiful sonnets and plays . 6. 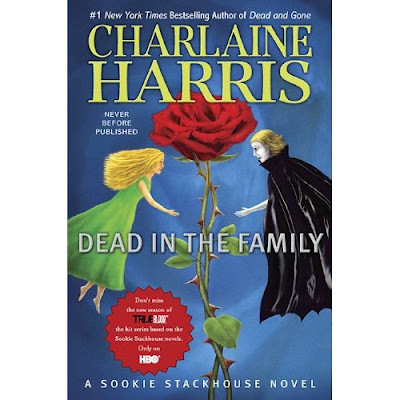 The next book on my "to read" list is Dead in the Family by Charlaine Harris (see above :-D) . 7. If I was snowed into remote cabin in the woods and could only choose three books to bring with me I'd bring my complete collection of Regency Romance novels by Patricia Veryan. Is it High Literature? No. But those books sure do help pass the time! "what's Brown Paper Packages? ", asks an ignorant Hanny. whatever it is, it's looks amazing! and i love you for eating the Jiffy Pop before you took a photo... that is SO something i would have done! loved this post! hope your weekend is simply stupendous! Woot woot! Yay for lazy weekends. i love true blood but I've never read the sookie stackhouse books, I may give them a go :) are they as disturbing as the show? oooh, i need to get her new book! had no idea it was coming out. and i love packages. there's not enough of those going around these days, hah. I'm a huge Sookie fan! I've read all but the last two books. Stopping by from Lauren's blog. I looooove Sookie & can't wait to get a chance to read this!! Mmm love me some Eric! !